and a parent. See figure2. Each trace has a single trace id across all its children spans. Parent spans always starts before child and ends after children finish. 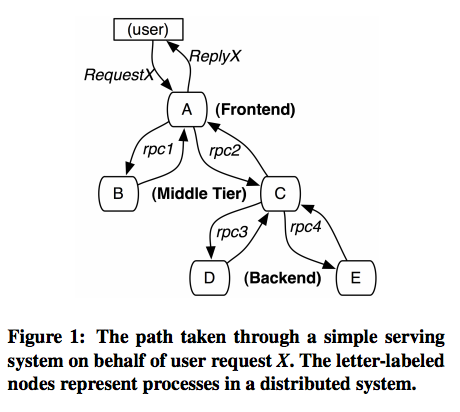 all async callbacks store the context of their creator. 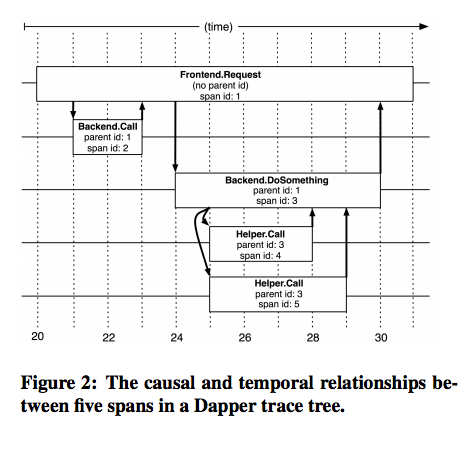 Dapper span data is written to local log files. Local logs are collected by Dapper daemons. And are finally written to Bigtable. interface, which aggregates all logs and sort by tracing ids.